In 2017, the government introduced a number of new regulations that focused on boosting domestic production. In spite of that, car sales in 2017 declined and continue to do so in 2018, except for the passenger segment. However, this decline is just a temporary setback. As the industry adjusts to the new regulations, sales will return to their previous upward trend in the near future. Last year, 272,750 vehicles were sold in Vietnam, down 10 percent compared to 2016. Segment wise, passenger, commercial, and special-use vehicles decreased by 15 percent, 2 percent, and 12 percent respectively. Sales of imported cars grew by nine percent to 77,790. However, domestically assembled cars that accounted for the majority at 194,960 units, decreased by 19 percent. Car manufacturers had predicted the decrease in sales, as consumers were waiting for car import tariffs to reduce to zero percent in early 2018, in line with the tariff schedules of ASEAN Trade in Goods Agreement. In the first five months in 2018, 103,746 vehicles were sold, down six percent compared to the same period last year, according to the Vietnam Automobile Manufacturers Association. The sales of domestically assembled vehicles grew by 10 percent during the same period to 87,426. However, sales of imported cars decreased by 46 percent to 16,320 units. Segment wise, sales of passenger cars grew by six percent while commercial and special-purpose vehicles declined by 19 percent and 37 percent year-on-year respectively. By the end of 2018, overall sales are predicted to grow by 6.8 percent year-on-year, to 256,000 units, including commercial and passenger cars. The 46 percent decline in sales of imported cars was due to the delay by manufacturers in fulfilling conditions and procedures of Decree No.116/2017/ND-CP (“Decree 116”), which stipulated conditions on production, assembly, import, warranty, and maintenance of vehicles. In the first two months of 2018, no units were imported into Vietnam. Between now and 2025, the domestic automobile manufacturing industry is predicted to grow by 18.5 percent, and 13.5 percent between 2025 and 2035, with output reaching 531,600 units by 2025 and 1.76 million units by 2035. Car sales are predicted to grow 22.6 percent by 2025, and 18.5 percent, after 2025. The double-digit growth in production and sales are largely based on the growth in the middle class, GDP, and disposable income. With the current passenger vehicle density in Vietnam at 16 per 1,000 people, which is much lower than Thailand, Malaysia, or Indonesia, there is ample room for growth in the industry. Decree 116, which is already in effect from January 1, 2018, stipulates a number of conditions on the production, assembly, and import of vehicles. It also sets out conditions regarding warranty and maintenance services for vehicles. Under the decree, local car importers need to obtain Vehicle Type Approval (VTA) certificates from the country of origin, which certifies the quality, safety, and environmental protection of imported units in accordance with the current regulations. This regulation was a major hurdle for manufacturers during 2018 Q1, as a number of exporting countries, did not provide such certificates. This rule will not only compel manufacturers to expand their domestic production but also increase the competition between foreign and local vehicle assembling companies, that are already subjected to similar quality inspections. Circular 03/2018/TT-BGTVT, under Decree 116, which is also in effect, focuses on certificates required for auto parts such as tires, rearview mirrors, front lights, and glasses. From January 1, 2018, under the ASEAN Free Trade Agreement, import taxes on automobiles imported from ASEAN member states, with a localization rate of at least 40 percent reduced to zero percent for Completely Built Units (CBU). According to Decree No. 125/2017 (“Decree 125”), which is already in effect, zero import tax will be applied on auto parts imported from ASEAN countries, if the stipulated output is met for cars under nine seats. To be eligible for Decree 125, firms also need to meet the conditions as stipulated in Decree 116. In addition, they must commit to produce and assemble vehicles that meet Euro 4 emissions standards (from 2018 to 2021) and Euro 5 (from 2022 onwards). SUV, sports cars, pickup trucks of over 1,000 cc is 200 percent or 150 percent plus US$10,000, with the lowest rate applicable. Other vehicles categorized as passenger cars are same as for new cars, with US$10,000 added for ones between 1,000 cc to 2,500 cc, and US$15,000 for ones over 2,500 cc. For vehicles with 10 to 15 seats, the rate is same as for new vehicles, while adding US$ 10,000 for ones below 2,500 cc and US$15,000 for ones above 2,500 cc. 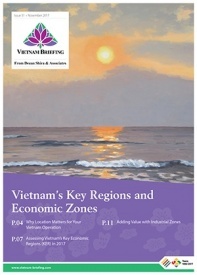 Localization rate in the industry in Vietnam is only around 10 percent due to the lack of supporting industries, which is much lower when compared to Thailand, Malaysia, and Indonesia at 85, 80, and 75 percent respectively. As firms have to import majority of the components, manufacturing costs increases, which is currently around 20 percent higher than neighboring countries. For large vehicles, local companies can meet around 55 percent of the demand for parts, but, for smaller cars, only 10 percent of the demand is met locally in Vietnam. 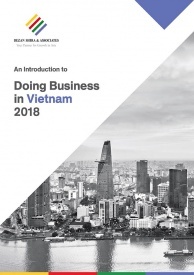 Out of 12,000 supporting industry firms in Vietnam, only 300 cater to automobiles manufacturers, with around 90 percent being foreign firms. The government’s regulations in the last few years have focused on reducing the dependency on imports and supporting local firms, but more needs to be done. The government should focus on developing the supply chain and support local firms through technical training, as technical expertise of domestic firms is much weaker when compared to foreign competitors. The government is aiming to meet 35 percent of the local demand by 2020 in addition to US$4 billion exports. For 2035, it is aiming for 65 percent and US$10 billion. With the new regulations in place, the government hopes to reduce its dependency on imports, increase production of environmentally friendly cars, and develop supporting industries to ensure a sustainable growth. In the short-term, it will take time for manufacturers and domestic assembly firms to adjust to the new regulations. However, in the long-term, these regulations will help the country shift from an assembling to a manufacturing hub, similar to its neighbors.